We have been very happy with the playsystem design. Our customers like it and we have found that it has changed the customer mix in our restaurant resulting in good sales increases. We now have a lot of moms with small children coming in all throughout the day. This is a big change for this restaurant. 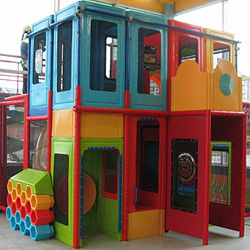 One of the things the customers like is that this playground is geared towards younger children and the older ones stay out of it. 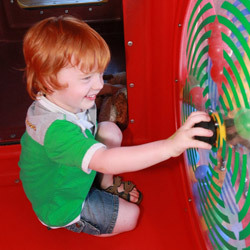 They also like the fact that there are many different activities within the playsystem. I find it much easier to keep clean. I mentioned that we have experienced good sales increases. I am sure part of that is because of the new lobby and part is because of the new playsystem. Our previous playsystem was outside and although covered, was not used much during cold weather. 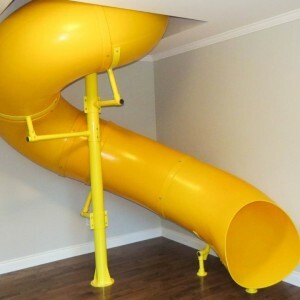 The owners are very happy and they have had all the trades who have worked on their home go down the slide. It is a fun addition to a family home. It was a huge success! 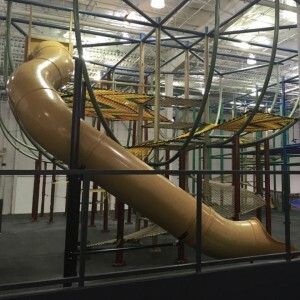 A Guinness World Record for the largest indoor netted play structure. Working with SPI for my playsystem refresh was very smooth. From the first call to SPI to the final cleaning of the complete unit before we opened the doors. The SPI team made designing the perfect match to my existing unit a breeze. 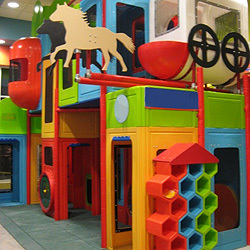 The refresh included removing old equipment, integrating new play events and flooring. SPI coordinated all with my GC. The cost was below what I had budgeted and the final design exceeded my expectations. The best part is the feedback we have received from our customers. They love the new active play equipment! From Parents: More playing area for the space; Better climbing area; Like the fact that they can see their children in most areas of the space. From the Management Team: Much easier to maintain and clean compared to the old space; No unreachable areas to clean; Easy to access for inspection. We have had the pleasure of rebuilding our business over the summer months and being a “family oriented” restaurant, we wanted to provide an activity area for our “littlest” guests. 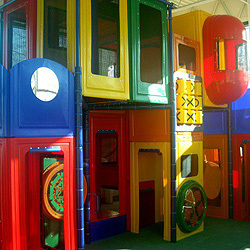 We have always had a play structure, but the new SPI KidsCube™ playsystem offers many diverse activities for the kids. 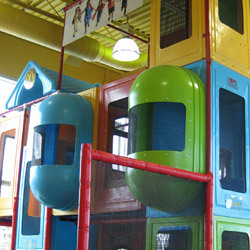 They can shoot hoops, jump on a trampoline, and adventure through the structure with their new made friends. 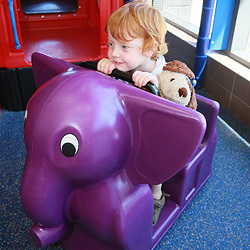 Our younger customers enjoy the slide and the soft flooring they exit onto. 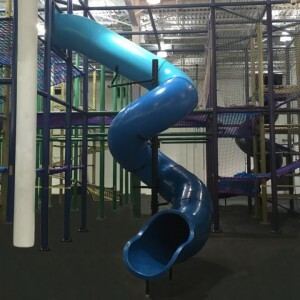 Our patrons are impressed with both the versatility in activities offered as well as the safe play provided by the design of the contained play. 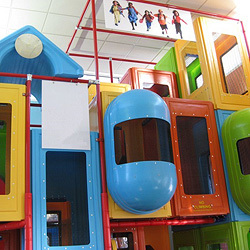 As a business, we too have enjoyed the new contained play structure. 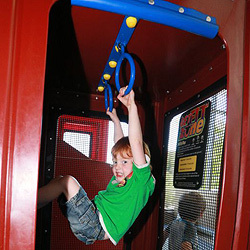 We are experiencing a 45% increase in sales growth over last year due to the new playsystem design. Dealing with SPI was a professional and effortless process. After contacting SPI the process started with the Sales Manager visiting the Fairway Road location to understand first hand the vision for the playsystem and the restaurant re: image. The installation team was great and the follow up personal visit on the day of the re-imaged restaurant was very much appreciated. 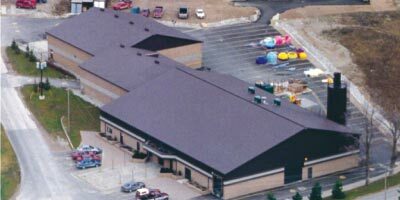 The completed project was a true reflection of our initial version. Thanks to the SPI team!! We have been dealing with SPI since 1996 when we opened the first store in Jordan. Since that time we have received excellent after sales service. SPI products are excellent, meet customer demand, are trendy and the safety is very high. We are very happy to work with a partner like SPI. 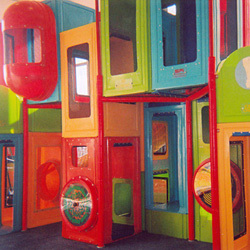 We love our playsystem! It is a huge asset to our church, and the families in the community of Woodstock love it! The people at SPI were incredibly friendly and helpful to work with. SPI installed a Western Themed playsystem for me last year. 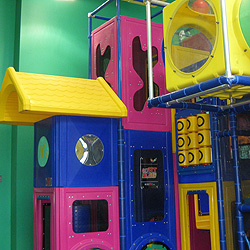 It has WOW Factor – the kids play nonstop! When we did the re-build project construction in Alberta was tough. The SPI Team were a pleasure to work with – your team was efficient, organized, ON SCHEDULE, and left my playsystem in perfect condition! 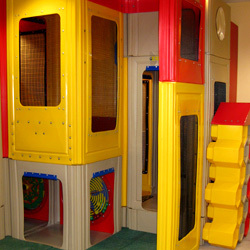 The KidsCube™ product is SUPERIOR – it’s easy to maintain, clean and the installation was FAST. The play structure is working out great. Very, very positively received by the community. The colour matches the lobby renovation very well. It is being heavily used and very much appreciated. Also, quite easy to keep clean and looking good! My contractor informs all went well and the installer was very professional. Good job by you and your people! SPI Industries customized an age appropriate playground for us that has proven to be a valuable investment in our business. We were thrilled with the professionalism of dealing with the Sales and Installation Team and continue to have a wonderful working relationship with them to this day. The playsystem is great, the kids never want to leave. I also want to thank you for coming by and going through it like a kid and pointing out and fixing some issues we didn’t know we had. Great job! Thanks. 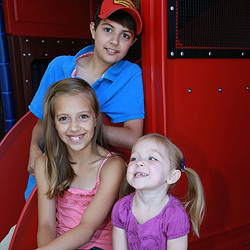 The feedback from parents has been amazing – the playsystem is a huge hit and the kids enjoy every minute. 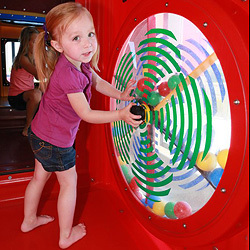 The various play areas result in a play experience that not only is enjoyable but uses different skills. Design, installation and service has been impressive and I recommend SPI without hesitation. It is always a pleasure dealing with them. The seamless transition from Nintendo Funzone to a SPI system was made easier with the support from the SPI team. 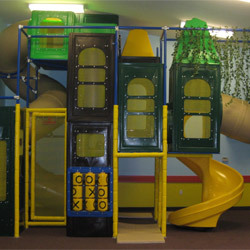 What looked like a small area for a Tube System was creatively worked in a maximized space for 16 kids to experience a fun time. Our Guests continue to make use of this area and have seen solid sales growth. 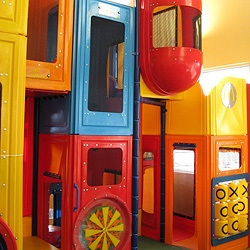 The playsystem at my Ladner, BC location is my second SPI KidsCube™ playsystem. 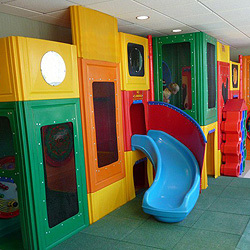 We continue to be very pleased with the KidsCube™ Design – its versatility, play value, impact, the colours are vibrant and enticing! 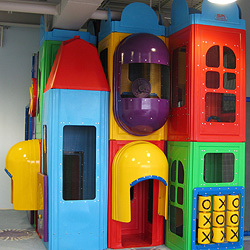 The accessibility throughout the unit makes a good experience for all the children, parents and staff. Cleaning the unit takes half the time of the old grid units! 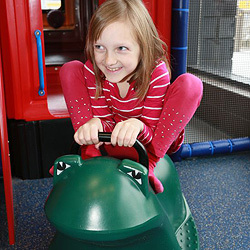 Our playsystem has had a great impact on our sales. The feedback from customers (Parents and Kids) has been wonderful – Kids love the new playsystem because of the latest facilities. Different games have been in the package which is very enjoying and exciting for them. The feedback from the Management Team – The new playsystem is very impressive. It was appropriately installed, better-quality and safer than others. Easy to access for cleaning and inspection. I am very pleased with the playsystem equipment. The product is being well received by my customers. We are certainly happy with the equipment and more importantly, the children enjoy using it daily. The SPI crew did a great job. Please thank all the people who made this happen in record time and first class quality. Earlier this month Bruce Grey Child & Family Services hosted a ‘doors open’ event at our new site in Owen Sound. You will be happy to hear that the comments from more than 550 visitors were very complimentary. Everyone was impressed with the renovation. The building is filled with light and is very family friendly. You and your employees made a big contribution to our beautiful new building. We have publicly thanked you and want you to personally know that we are grateful for your good work.